His power: No superpowers here. His story: Senator Stern first appears in Iron Man 2, grilling Tony Stark in front of a national security hearing and demanding he turn over the Iron Man technology to the government, a plea that unsurprisingly fails. He turns up again at the end, forced to publicly pin medals on Stark and Col. Rhodes, a job he—again, unsurprisingly—loathes. His next appearance comes in Captain America: The Winter Soldier, where it’s revealed that he is one of the sleeper Hydra agents infiltrating the U.S. government. By the end of the film, however, his cover has been blown after all of Hydra and S.H.I.E.L.D.’s documents are made public, and he is arrested by the FBI. Currently, Senator Stern is: In prison somewhere, probably less than thrilled with his situation. Where will we see him next? 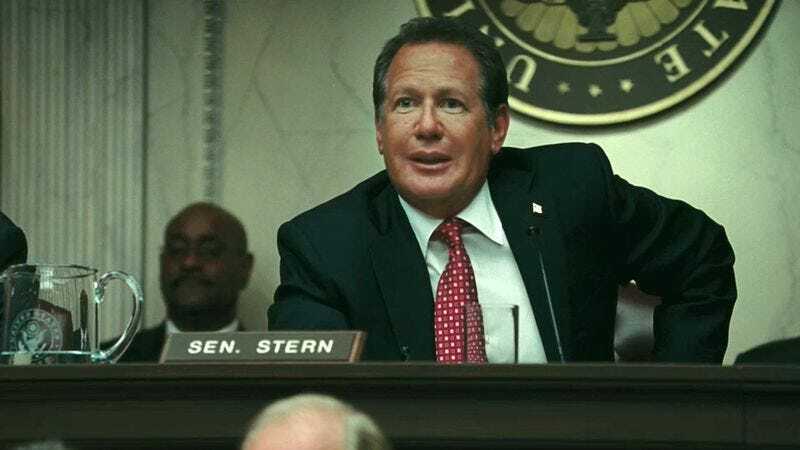 Sadly, with the death of Garry Shandling, Senator Stern’s time in the Marvel Cinematic Universe is probably over.